WASHINGTON – Truth Wins Out launched a petition today to demand that Apple remove a dangerous and offensive “ex-gay” app from its online store. 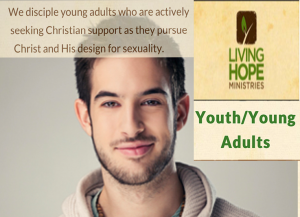 The app, by Arlington, Texas-based Living Hope Ministries, specifically targets LGBT youth with toxic messages that portrays homosexuality as an addiction and says that LGBT people are sick, sinful, and broken. The app claims it can help them to essentially pray away the gay. In 2011, Truth Wins Out launched a Change.org petition that gathered almost 150,000 signatures to successfully remove the Exodus “ex-gay” app from the Apple Store. Let’s demand that Apple does the right thing again, so hateful bigots and bullies won’t torment LGBT youth. Truth Wins Out Executive Director, Wayne Besen, tried to avoid launching a petition. He spent more than two hours on the telephone today with Apple staff, who gave him the runaround and failed to offer viable solutions. The American Psychiatric Association says that attempts to change sexual orientation can lead to “anxiety, depression, and self-destructive behavior” including suicide. Please sign the Truth Wins Out petition now and forward it to your friends.